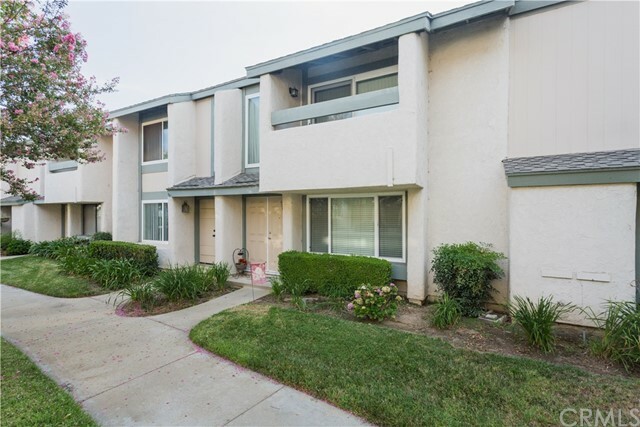 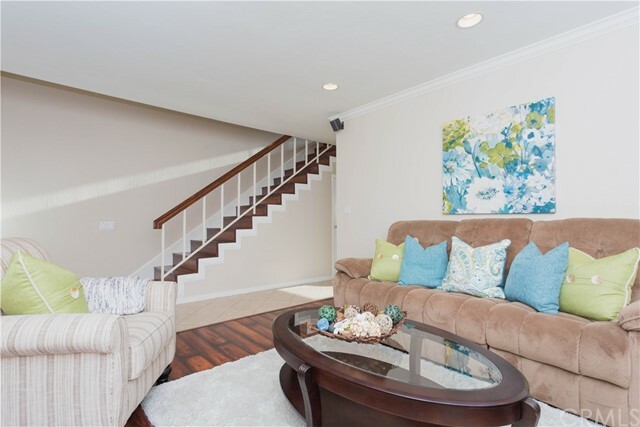 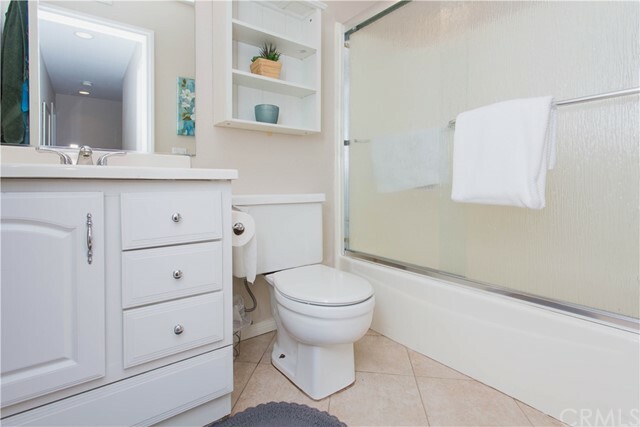 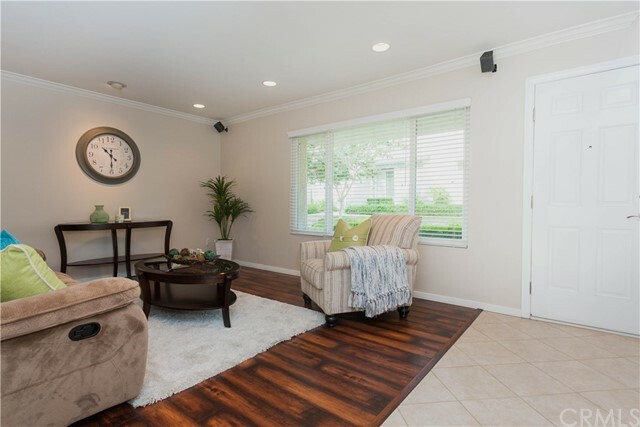 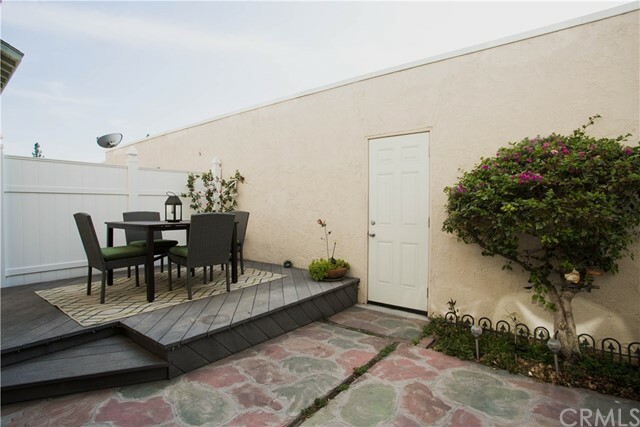 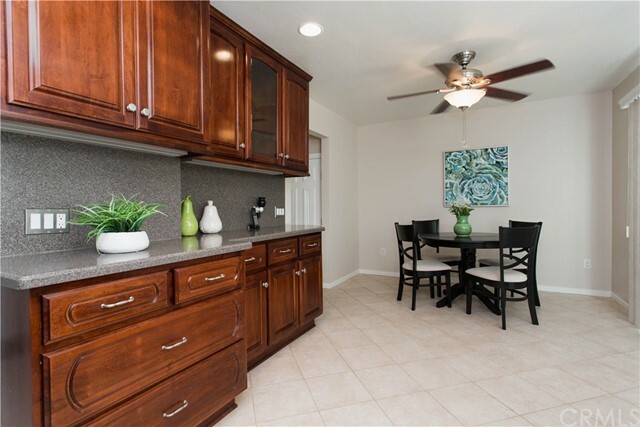 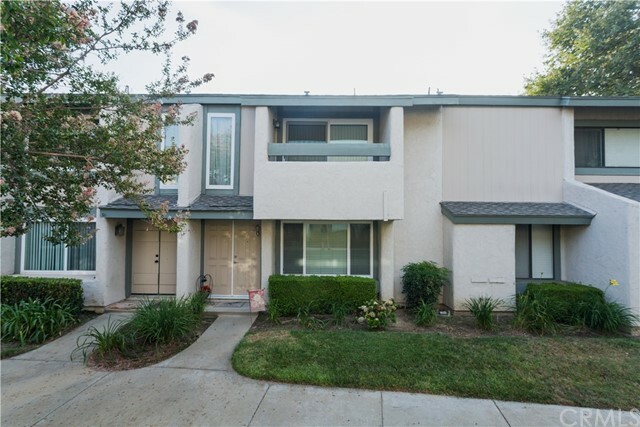 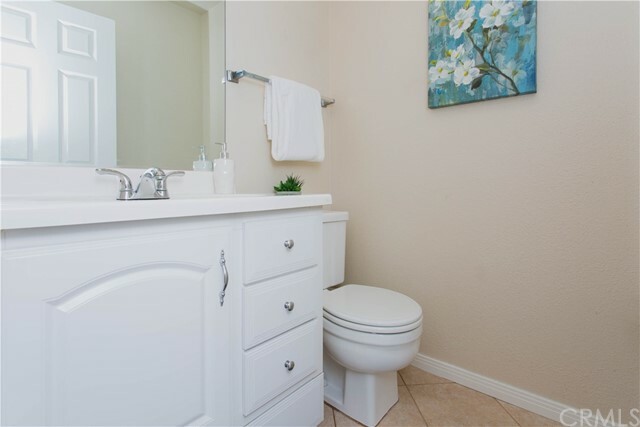 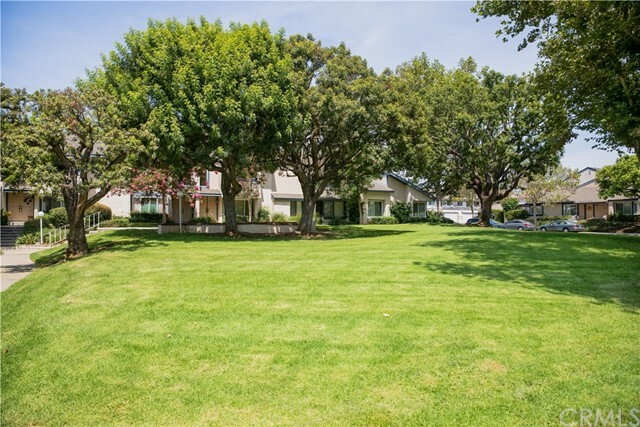 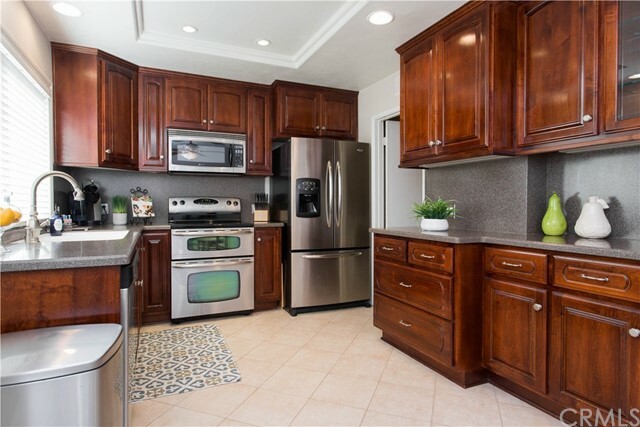 Light and bright Town-home 3 bedroom beauty in the Corsican Villas of Brea. 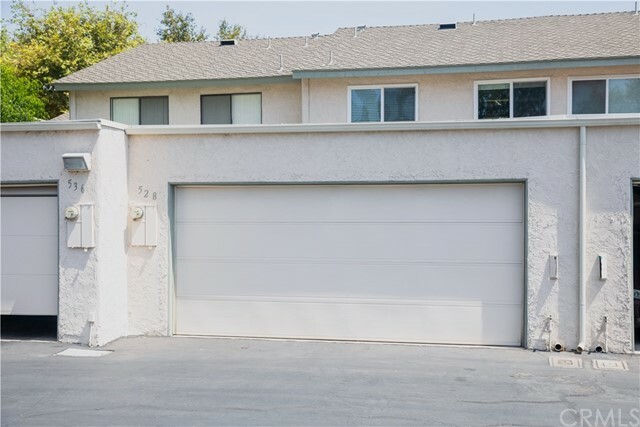 Double door entry into a perfectly upgraded move in condition home. 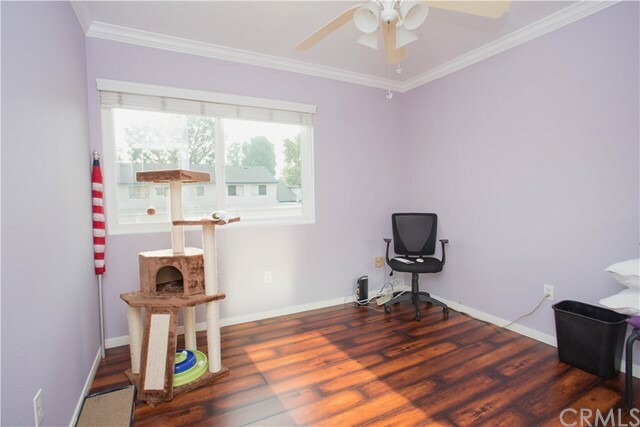 Interior track location. 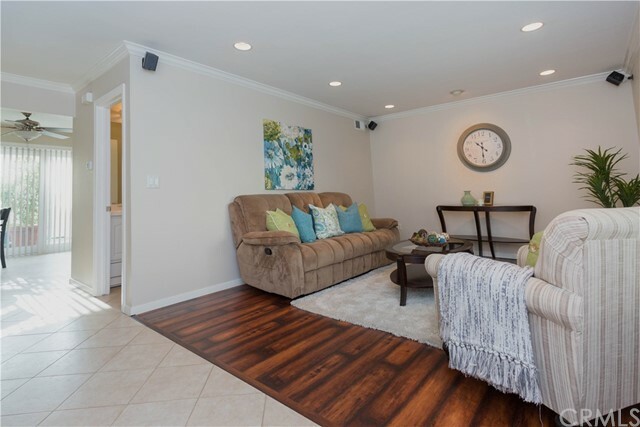 Sleek hardwood flooring throughout downstairs and upstairs and tiled flooring flowing from formal entry into kitchen, bathrooms and kitchen. 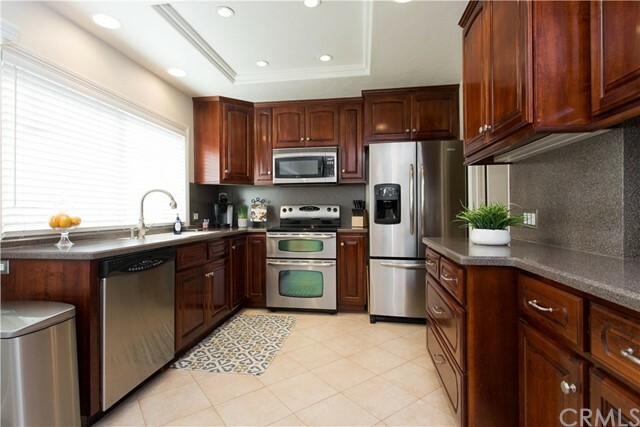 Spacious and remodeled kitchen includes Corian silky counters tops, custom cabinetry and stainless steel appliances; kitchen also includes eating area and slider to secluded and welcoming backyard. 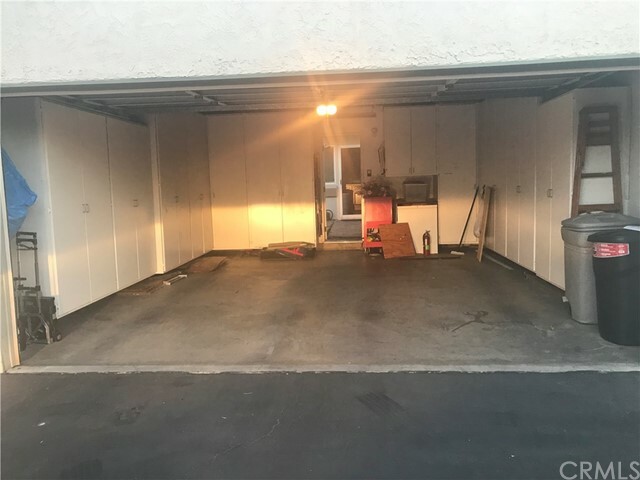 Backyard connects 2 car garage and home. 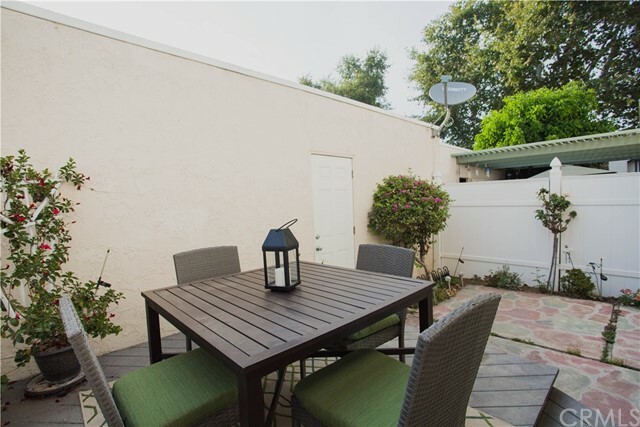 Cozy backyard includes Trek lounging deck area, pavers and vinyl fencing. 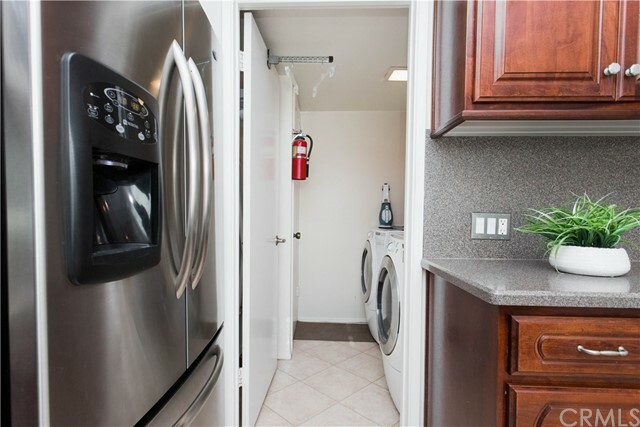 Laundry room is off of kitchen with storage and washer/electric dryer included. 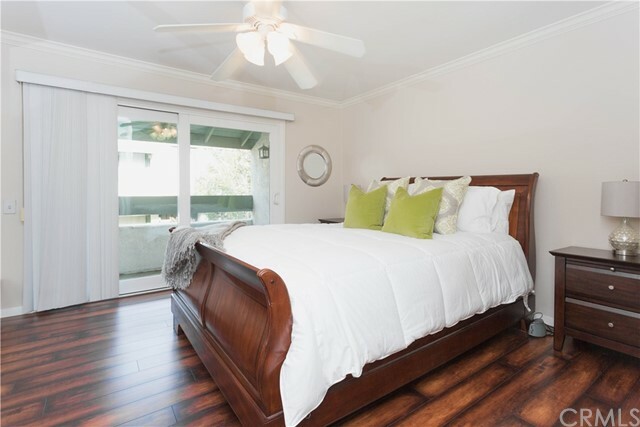 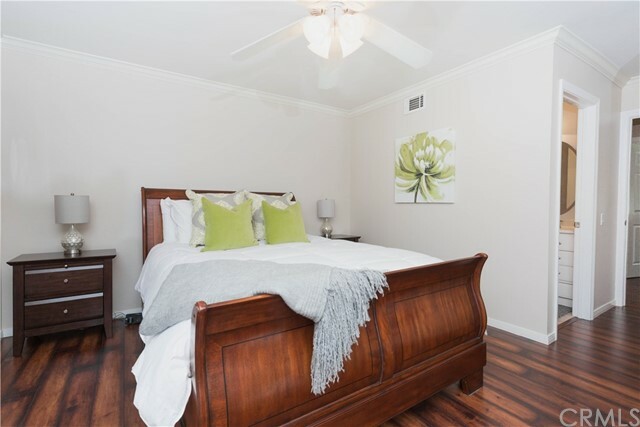 Master bedroom is oversized with mirrored slider closets and private balcony. 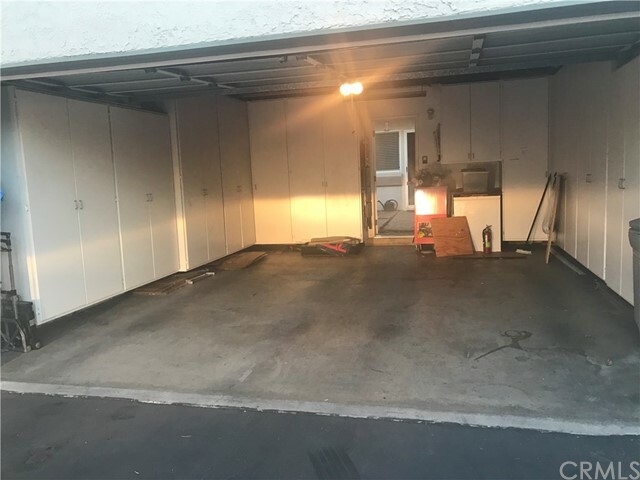 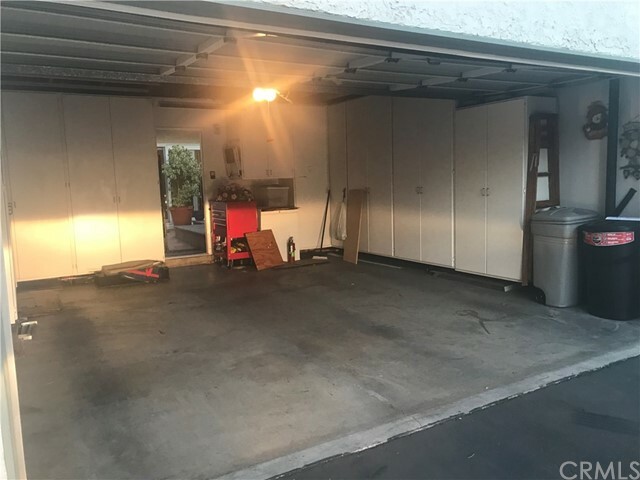 Private 2 car garage includes tons of custom storage cabinets. 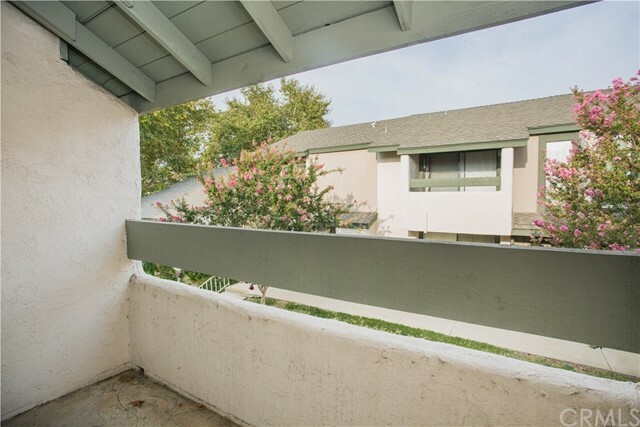 New windows and sliders. 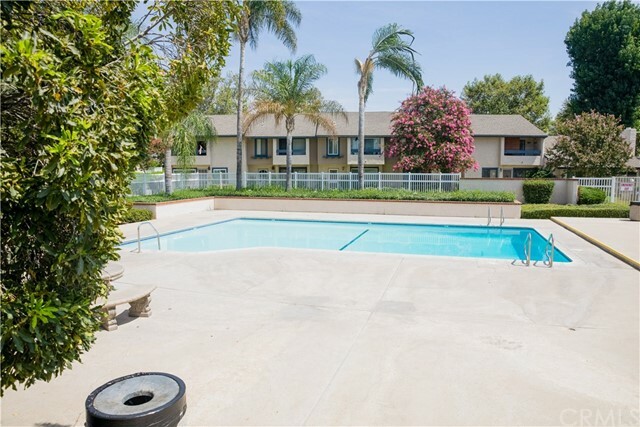 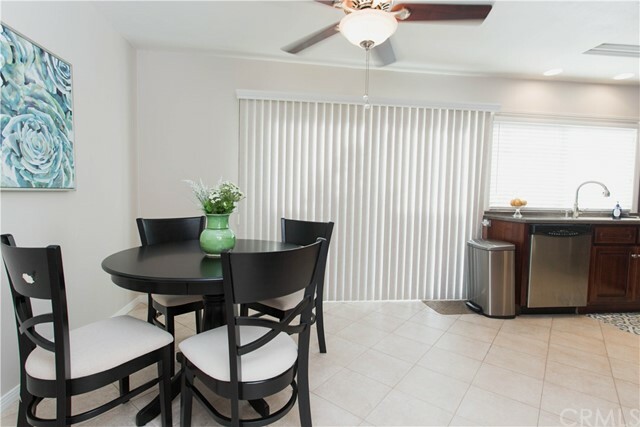 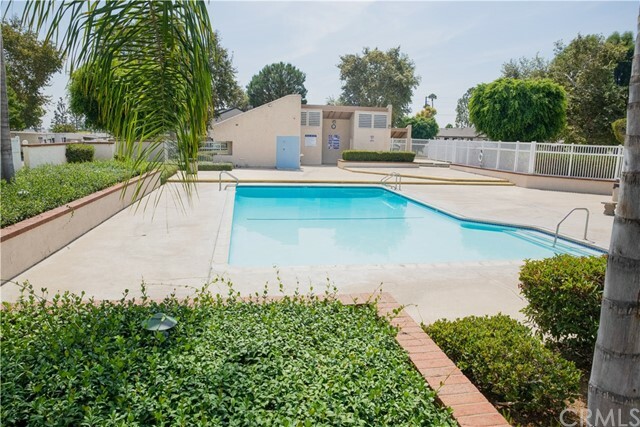 Well maintained open and spacious complex that includes 2 community pools. 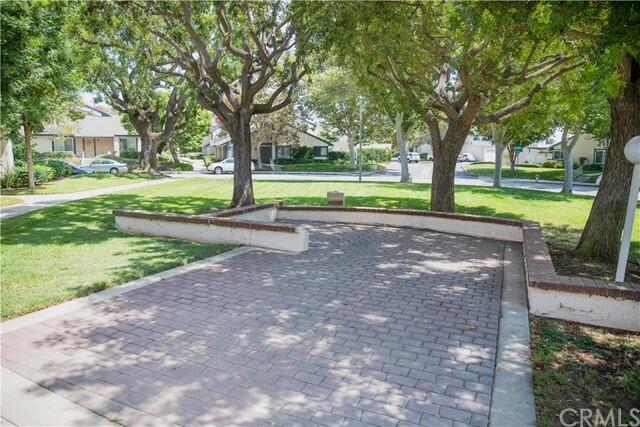 Desirable schools.